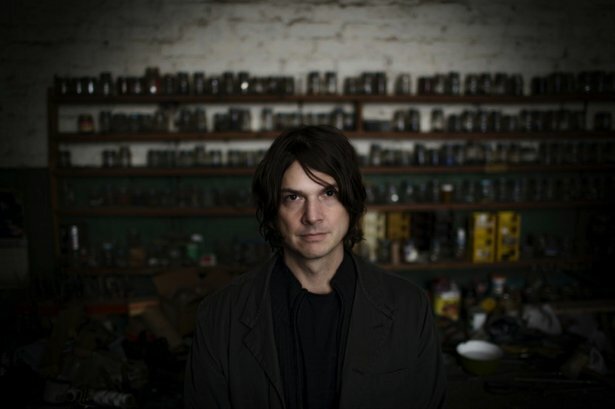 Chicago-based percussionist and composer Glenn Kotche has been called one of the most exciting, creative and promising composers and performers in modern music, having been singled out for attention by the Chicago Tribune for his “unfailing taste, technique and discipline”. Alongside a busy schedule as drummer for the band Wilco, he has recently launched his second solo album Adventureland on Canteloupe Records, a collaboration with the award winning string ensemble Kronos Quartet. The Quartet has played with everyone from The National to Allen Ginsberg, and had many hundreds of compositions written for them by composers as luminary as Henryk Gorecki and Steve Reich. Kotche has made all seven channels of their collaborative piece “Anomaly” available in a ready-to-go Ableton Live Set, via blend.io, the online platform for sharing and collaborating on music projects. Stems from “Anomaly” are adapted to a warped, synced and ready to play session by Ableton Certified Trainer Josh Hogan. Kotche caught up with Hogan recently to discuss the “Anomaly” project. Together they unpack the challenges of working with strings, lend tips on how to construct complex polyrhythms and raise the question: why would you give away immaculately recorded files from one of the world’s leading string quartets? I've read that you took a very 'percussionist' approach to writing the string music in “Anomaly”, and percussion makes an obvious connection with rhythm and texture. I'm wondering what your approach to harmony and tonality was? I do a lot of writing from behind the drumset so the form, rhythm and overall architecture of the piece are realized there. Then I need to fill that skeleton in with pitches and harmony and more traditional musical elements. This usually begins by chance; maybe I'll begin with the tuning of whatever kalimba I have plugged in at the kit, or perhaps I'll go through some of the rhythms on the vibraphone, celeste or piano to flush out the tonality that fits best via trial and error. I've rarely gone into writing a piece of music knowing that I want it in a certain key with the harmony unfolding in a specific way. For example, on “Anomaly Mvt. 2” I believe the pitches I began with were based on the tuning of the drums that I was writing on. Did the percussion-strings relationship work in reverse also? Did the musicality of the strings have an effect on your percussion playing? Yes. The tuning of the drums, the implements I use and the sound choices are all influenced by the timbre of the strings. I used a lot of dampening on the drums so they wouldn’t be too ‘open’ with lots of overtones getting in the way of the string parts for instance and to better blend with the pizzicato parts. I used mallets as opposed to sticks in several sections - again to be more sympathetic to the acoustic volume limitations of the strings. I stayed away from using a lot of cymbals - again to retain some control of the sound. I left the snares off for much of the suite so the snare drum wouldn't pop out from the rest of the music too much. These are a few of the many considerations anyone would have to make when playing drums with a string quartet. You've generously put “Anomaly” up on blend.io for Ableton Live users to work with creatively. What do you hope to see happen with your work? Ideally something that I can't even think of! Something that catches me off guard and presents the music in a fresh light. All I can hope for is to say "wow, I never thought of that! ", and for new creative doors to open as a result. There are some cool analog sounds in “Anomaly”. How did you make the electro glitch sounds which can be heard in the 1st and 3rd movements for example? And are you approaching these analog sounds like percussion instruments? I am. I can't exactly remember how I got that specific sound in “Mvt. 3”, but I'll use sounds that I've recorded out in the world, or sounds that I've made by running acoustic material through effects pedals and processors, or even customized sounds that I've tweaked in the drum brain controllers that I have. Just by using a contact mic on an interesting quiet sound you can awaken it into this much bigger, almost electronic, sounding instrument. It's this small acoustic sound under a sort of sonic magnifying glass. “Mvt. 1’, for example, just sounded more compelling to me using stock sounds from my music composition software - Sibelius - than using drums or strings. But regardless, I'm thinking in terms of having an array of sounds and timbres, be they acoustic, electro-acoustic or electronic, assembled into a kit or set. That's what the drumset is at it's core. Video tutorial from Josh Hogan on how to organise Kotche’s Live Set. It seems that you've taken quite an orchestral approach to the percussion parts using different layers/parts played together to create a big 'macro' beat sound. What's your approach for producing these sounds? Well, I do hear parts of “Anomaly” as being ‘big’, which is why I chose to add some layers of instrumental textures at some points for the recording, something that's not possible really for the live version. A good example is “Mvt. 2” where I layer in hand claps, piano, crotales, marimba and tambourine to make sections bigger. When it comes to the production of these sounds, it was Pat Burns who tracked and mixed the record. I work with Pat on almost everything I do and implicitly trust him to make sonic decisions since we have a history and similar sensibility. I know that if I choose the right instrument and mallets and if I can play it well then he'll make it sound great. There are a lot of intricate crossing polyrhythms in “Anomaly”. These are really classic rhythms used in a range of percussion traditions around the globe, and they also have a strong place in the history of american minimalist music, like Steve Reich for instance. Can you talk a bit to how you used these rhythms? Indeed. Reich studied both African and Balinese music which both heavily influenced his earlier work. I've studied percussion traditions from around the globe as well and I naturally like to keep things somewhat metrically ambiguous when I can. I like being able to feel a piece of music in different meters or pulses. Almost like an optical illusion or op art, where an image appears to be coming towards you or away from you depending on how your mind is interpreting it. I often try to write things that rhythmically or metrically lean in few directions at once. Any advice to beatmakers out there who want to explore these crossing rhythms? Just realize that there are many ways to divide up eight, twelve or sixteen, which are the most common number of subdivisions that we use in Western music. For example eight can be split into 4+4, or 2+2+2+2, or 3+3+2, or 2+3+3, or 3+2+3, or 4+3+1, and so on. I experiment with different combinations and orders of groupings, then I usually try one interpretation using my hands and another with my feet for example, pitting these cross rhythms against one another. I like the way this makes the music flow and the syncopation that results.